Running a business requires coordinating the work of several different departments. Fortunately, there are many software programs available that can help you manage, measure, and control these activities to help achieve maximum effectiveness and efficiency. There are different ways of doing this, however. If you choose the wrong way, it could result in low productivity from your IT staff and may not provide you with the best results. Some of the business management programs available on the market may only be designed to support one function, such as; Customer Relationship Management, Inventory Control, Manufacturing, Shipping, etc. One path you could take would be to buy separate programs for each function and try to get all of the different programs to work together (fingers crossed). However, this will most likely result in a lot of problems that will leave you stuck with a lot of customizing, and software that doesn’t integrate. The different programs may use inconsistent data base formats, have problems synchronizing the data on a timely basis, utilize different user interfaces, and require many different individual software upgrades during the useful life of the programs. When updating one program, the software upgrade may break an interface that you previously created to communicate data to one of the other programs. Although great IT personnel can eventually resolve these problems, it will take up a lot of their time and leave less time for them to work on other activities that could be useful for your business. There are significant efficiency advantages to be gained when a company chooses a fully-integrated ERP (Enterprise Resource Planning) solution. First, the issues of inconsistent data bases won’t exist because the system will use a common data base for all modules that was designed in from the start by the ERP vendor. Your team won’t have to worry about writing interfaces that convert a data item from one format to another. You also won’t need to worry about performance issues or whether all the data is in sync. Since all the functional modules use a common data base, synchronization will happen in real time, automatically. 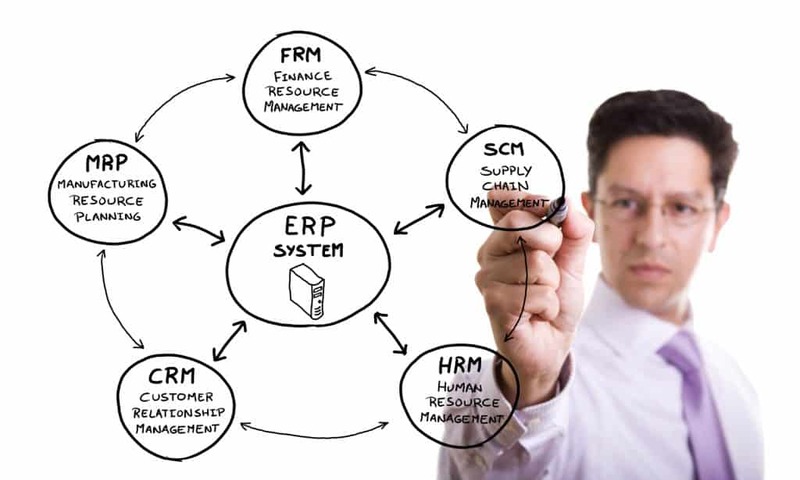 Other advantages will accrue because an integrated ERP system will have a common user interface between modules. This provides a company with significant training and employee productivity benefits. The specific transactions will differ for different departments but the look and feel to the user will remain the same. If you transfer an employee from one department to another, they won’t have to be trained to use a completely new IT system and they can be up and running in a timely manner. you may be tempted for financial reasons to only acquire one software program to get started with your most critical functionality and use manual processes for everything else. However, as you grow, you will end up paying more when you are start adding in additional programs to automate additional functions. If you compare just the acquisition and maintenance costs of paying for several different non-integrated programs to an acquisition of a fully integrated ERP program that can provide the all the functionality, the fully integrated ERP program will likely come out less expensive. If you do want to start out small and really need to keep your initial costs low by only utilizing one module, perhaps there is a better way. You can ask your vendor to install an ERP system but only enable the functionality on the one module that you need and disable the ones you don’t immediately need. In return for this reduced functionality, you can ask them to quote you with a discounted price. This may provide you with a low cost entry to get started but also provide you with room for growth. As you need additional functionality, you can ask the vendor to turn it on access to it. But it won’t require that you write software to interface to the new functionality because that was built-in to the original design of the system and adding in the new functions can occur almost immediately. The Kechie ERP system from My Office Apps was designed to provide an integrated ERP system yet also provide a cost effective growth strategy as described above. 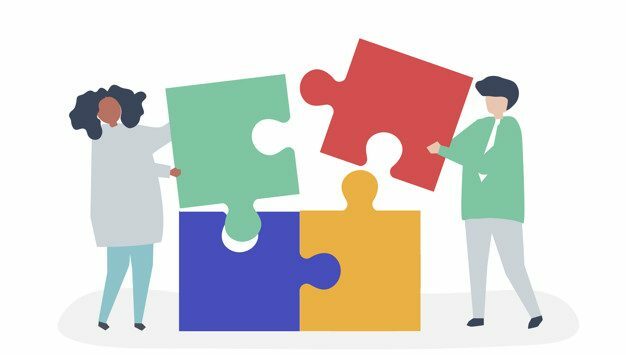 To learn more about how Kechie can help you and eliminate the extra effort you IT staff would require to glue together different software programs, schedule a demo or contact us by phone at (714) 486-1487.